The tradition of giving flowers has been so popular since many years ago, especially from a man to a woman. The reason for this tradition is not only because flowers are a beautiful gift to give but also because flowers are a meaningful gift. A gift of flowers can carry such a beautiful message too and can be used to convey or express the feelings of the giver to the receiver. Every woman will surely love a flower gift from their lover and give flowers on the first date is actually can be a great idea you can do to win her heart. Of course, the first date should be special. Thus, you need to plan and do the right move on the date; you don’t want to disappoint her and you absolutely want to impress her instead. And a gift of beautiful flowers can be your right move as they will never fail to make a woman feel special and flattered. A single flower is a safe choice for a first date. A single flower is just right and not too much for the first time. However, you also still can give her a bunch of flowers in a bouquet if you wish it to be more impressive. After you decide the amount of the flowers, it is time for you to decide the kind of the flowers itself. Be wise in choosing the flowers since each flower can hold such a different meaning with one another. To do this, you can do a little research on the internet or ask it to the florist where you buy the flowers. Then choose the one that can represent your feeling or situation with her in the best way. Don’t forget to make sure she will understand what you mean by giving a note on the bouquet, too. This is certainly can be a really beautiful gesture to do for the loved one on the first date which will be the memorable too. 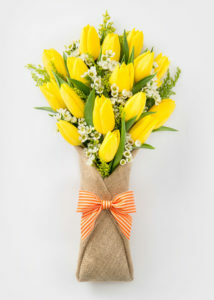 Simply order your flower from a The Bloom Outlet to get your flower gift done. 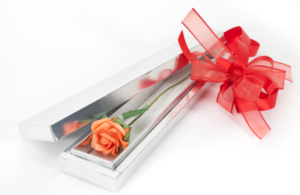 The best florist Singapore will make sure to make a perfect flower gift for you.